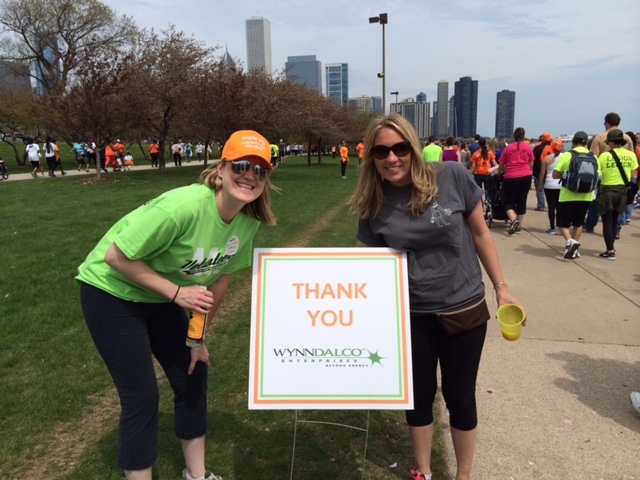 Sunday’s Walk MS Chicago Lakefront rallied over 5,000 participants supporting the Fight to End MS. Illinois Lt. Governor Evelyn Sanguinetti spoke about her personal battle with Multiple Sclerosis and how continuing to raise funds and awareness is so vital to stopping MS in it’s tracks and ensuring no one will have to hear the diagnosis again. She and Jerry Taft then cut the ceremonial ribbon and kicked off the energetic 3 mile Lakefront walk.